Adam Corbally Products — Adam's Retro handsets! Let’s face it, our mobile phones are everything to us these days.. apart from comfortable to use. 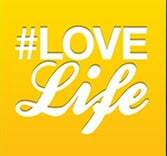 Adam identified a need for this and is proud to introduce you to the first in his series of #LoveLife products. The Retro handset - The joy and comfort of using a house phone with the convenience and affordability of a mobile phone. Available in 4 colours with a rubber finish for comfort and volume control. These have proved a huge hit with everyone from school kids and students right through to pensioners. Great for personal use, even better as a gift idea for a loved one at Christmas. Simply plug in and chat away. Proven to reduce harmful emissions from up to 95% by keeping the phone over 2 feet from your head. Great for any mobile with aux socket and a speciality for Skype chats and use with the iPad. £13.95 delivered with your choice of colour.